This is a drug that belongs to a class of ACE inhibitors and is used to treat those people who have high blood pressure. It is used to lower high blood pressure and prevent heart attacks, strokes and kidney problems and it also used to treat heart failure in order to improve the survival of the patient after a heart attack. Lisinopril works by relaxing blood vessel in order to ensure that blood flows easily. It is a medication that is taken orally as prescribed by the doctor whether with or without food and is taken once per day. Your medical condition is the one that will determine the dosage that you will take according to how it will respond to treatment. The dosage for children is normally based on their weight. When you have been given the suspension form of medication, shake the bottle carefully before using it and use a special measuring device like a spoon. Don`t use a household spoon because it will not give the correct measurements. To ensure that you are taking the medication regularly in order to benefit from it, take the medication at the same time each day. As many people of blood pressure do not fall sick, continue taking this medication even if you feel well. It may take 2-4 weeks before the treatment of high blood pressure takes place or before you get the full benefit of this medication. Also, the treatment of heart failure takes a couple of weeks before you get the full benefit of this medication. One should ensure that he/she is informing the doctor about his or her state or condition so that the doctor can know whether your blood pressure readings remain high or low. Always make sure you are following doctor`s instruction as you take this medication so as to reduce the risk of side effect. This is because your doctor may direct you to start this medication at a low dose and gradually continue increasing your dosage. In order to reduce the risk of dizziness and light headaches ensure you get up slowly when rising up from a sitting position. When these side effects occur, always remember to adjust to your medication. Don`t wait for this cough to last or get worse without informing your doctor or you can promptly inform a pharmacist. Although this medication is used to treat those people who have kidney problems or prevent kidney problems, it may sometimes also cause kidney problems or worsen them. When prescribed to take this medication ensure your doctor is checking how your kidney is functioning. In case of any sign of kidney problems such as a change in the amount of urine inform your doctor right away. An allergic reaction is very rare to happen when taking this medication but if you get notice of any symptoms such as rash, itching or trouble breathing get medical help right away in order to prevent a serious allergic reaction. This medication rarely causes liver problems but in case of any symptoms like excessive nausea or vomiting that does not stop, loss of appetite, yellowing skin or eyes, stomach or abdominal pain and dark urine inform your doctor right away to avoid serious liver problems. Tell your doctor immediately if you notice you have serious fainting and you're if the muscle is weak to get serious attention before these problems prolong. If you experience symptoms such as high potassium blood level, slow or irregular heartbeat, tiredness and severe headaches tell your doctor right away. Always remember that doctor prescribed this medication to you because he or she has judged that it will benefit your body in a greater way than the risk of side effects that will occur. Due to these many people who are prescribed this medication rarely do they have serious side effects but in case of any always seek medical attention from your doctor. According to how your medication is working depends on drug interactions which sometimes can increase the risk of serious side effects. Always inform your doctor to get approval before changing, starting or stopping any dosage. Keep a list of products that you use so that the doctor can know how the drug interaction. Some products that can interact with this medication are aliskiren and lithium. Aliskiren contains drugs that weaken the immune system and increases the infections of everolimus and sirolimus whereas lithium contains drugs that may increase the level of potassium in the blood such as birth control pills that contains drospirenone and sacubitril. Tell your pharmacist or doctor what products you are using and ask them how to use them safely especially during diet aids or during cough-and-cold products. The importance of informing the doctor or pharmacist about the product you are using is because some products have ingredients that can raise your blood pressure or worsen your heart failure. A serious reaction can occur if you are getting an injection for desensitization while you are also taking this medication. For this reason, inform your doctor so that he or she can know which medicines you are using. In case you use any drug like alcohol talk to your doctor before he or she prescribes you to take this medication. After taking this medication do not drive or use any machine that requires your entire attention or alertness since this medication causes dizziness. Too much of diarrhea, sweating or vomiting may cause dehydration and can increase the risk of having lightheadedness. In case of any prolonged diarrhea or vomiting report to your doctor immediately and make sure you drink plenty of fluid to prevent dehydration unless your doctor directs you otherwise. This medication is not recommended to be used during pregnancy or when breastfeeding because it may cause harm to your unborn baby or your baby respectively. Make sure you consult your doctor for more details if you are prescribed this medication. Before using potassium supplements or salt substitutes that contain potassium consult your doctor for this medication increases the level of potassium in your body. Before any surgery tell your doctor about all products you use including herbal products, nonprescription drugs, and prescription drugs. Also, this medication may cause sensitive side effect to older adults. Make sure you inform your doctor to avoid dizziness and increase the level of potassium. Before using this medication, tell your doctor or pharmacist about your medical history especially the history of allergic reaction or other ACE inhibitors such as benazepril. This will prevent you from getting medication products that contain inactive ingredients which can cause serious problems in your body. Always talk to your doctor or pharmacist for more details about your health problems. What happens if you overdose this medication? This medication can change your lifestyle and help one to stop smoking or eat low-cholesterol or low-fat diet. While taking this medication lab and medical tests such as kidney function and the level of potassium should be taken and also one should keep all medical and lab appointment so as to avoid sensitive side effect to your body. Also while taking this medication learn to check your blood pressure level and heart rate on your own especially while at home and share the result with your doctor to see whether you need any consultation. Do not overdose this medication rather if you notice you miss a dose take it as soon as possible the moment you remember. If you also notice that the dose you skipped is near the next dose is rather you skip than double dosing in order to catch up. Always store your tablets and suspension in a cool temperature room away from light and moisture. Discard any suspension after 4 weeks and keep all medications away from children. Do not store your medication in the bathroom or flush them down the toilet or pour them in a drain unless instructed to do so by the pharmacist or doctor. If your medications expire properly discard them by instructing the local waste disposal company to inform you how to do it. Always note that this medication is not shared with other people. Lisinopril works by blocking a substance in the body that causes the blood vessels to tighten and relaxes the blood vessels. This lowers the level of blood pressure and increases the supply of blood and oxygen to the heart. Always remember that this medicine will not cure your level of high blood pressure but it does help by controlling it. Therefore, one is instructed to continue taking this medication for the rest of your life in order to lower your blood pressure and keep it down. It is also good to note that some side effect that occurs usually do not need medical attention but as you continue with your treatment they will go away because your body will adjust to the medicine. Blood pressure is the amount of pressure exerted on the walls of your arteries or blood vessels when your heart pumps blood throughout the body. Blood pressure is a combination of systolic and diastolic pressure. 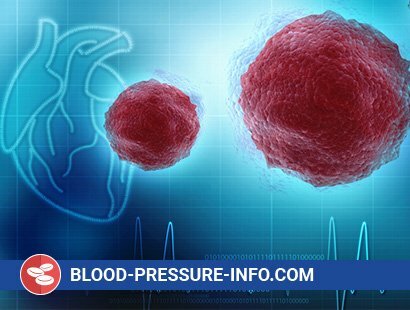 Systolic pressure involves the force exerted by blood on arteries when the heart is beating, and diastolic pressure is blood pressure when the heart when the heart is resting. Systolic pressure is the first measurement in a blood pressure reading. For example a reading of 120/80, 120 represents systolic pressure while 80 represents diastolic pressure. It's very normal for your blood pressure to keep changing from high to low all the time since it's trying to adjust to the needs of the heart depending on what you are doing. High blood pressure is a situation whereby your blood pressure becomes higher than normal. A blood pressure under 120/80mmHg is considered to be optimal while blood pressure readings between 120mmHg and 139mmHg are said to be in the normal and high normal range. High blood pressure is one of the main risk factors for heart diseases and as you are getting older your chances of getting very high blood pressure keep increasing. It's important to check your blood pressure time and again and if you realize that it keeps increasing then you have to control it. Normal blood pressure: Any pressure reading below 120mmHg indicates normal blood pressure. Prehypertension: This is when systolic pressure falls between 120-129 and diastolic falls less than 80. Stage 1 high blood pressure: Systolic blood pressure lies between 130-139 or diastolic reads 80-89. Stage 2 high blood pressure: Systolic pressure is at least 140 or diastolic reading is at least 90mmHg. The heart pumps blood around the body. Blood that is less oxygenated is pumped towards the lungs when oxygen is added to the blood before being pumped by the heart to the rest of the body. 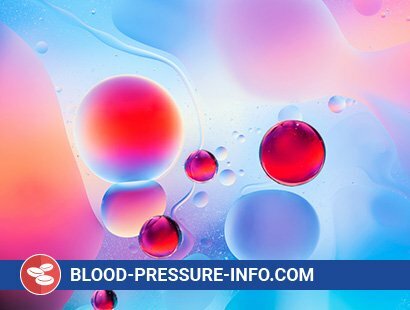 As a result, the pressure is created within the blood vessels. If a person develops high blood pressure then it means that the walls of the blood vessels are receiving too much pressure constantly. There are no identifiable causes of high blood pressure, however, there is strong evidence which suggests that some risk factors have the likelihood of causing the condition. Having family members with hypertension can increase your chances of developing the condition. These can be passed on through heredity. Genetic factors are likely to lead to high blood pressure, heart disease and other related diseases. However, it's also known that people of the same family who share common environments and other potential factors are most likely to develop high blood pressure. Consuming alcohol can lead to changes in blood pressure. People who drink alcohol on a regular basis are likely to have higher systolic blood pressure than those who don't drink. For people who drink regularly, their systolic blood pressures are about 7mmHg more than those that don't. It's reported that in societies where people take a lot of salt, blood pressure is prevalent than places where little or no salt is consumed. According to many health professionals, a diet that is high in fat is likely to raise your blood pressure risk. But most dieticians say what matters is the type of fat rather than the amount of fat you take. Fats from plants such as avocados, olive oil, nuts and omega oils are good for your health. Saturated fats from animal-source foods are the ones which are bad for you. Having persistent stress over a long period of time has serious effects on blood pressure. People who have diabetes are likely to develop high blood pressure. People with type 1 diabetes have a high risk of developing incident hypertension while those with type 2 diabetes are at risk of hypertension due to high blood sugar. The older you become the higher your chances of developing hypertension. People with obesity and those that are overweight are at risk of developing high blood pressure than those with normal weight. Smoking narrows the blood vessels which results in high blood pressure. Smoking also reduces the amount of oxygen in the blood which causes the heart to pump faster to compensate leading to a rise in blood pressure. People of African or South Asian descent have a higher risk of developing hypertension compared to people who are predominantly Caucasian or Amerindian ancestries.